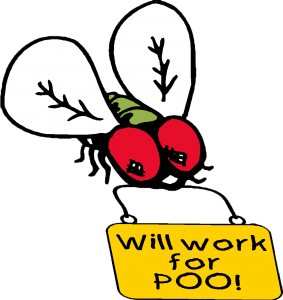 Preventive maintenance is the best approach to ensure proper operation of your septic system. Regular cleaning can prevent costly repairs. Don’t pay for services we provide for for free! We are locally owned and operated. You get the same people and same great service every time you call! If your filter is accessible, we will even clean it out for free! Although we cannot give a standard rate that fits for all customers, we can promise that you will receive a competitive and fair rate. 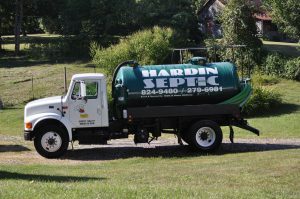 To receive a free quote, please call (812) 824-9480 or e-mail Hardin.Septic@yahoo.com. We accept many different methods of payment including cash, checks and credit cards. Currently we accept Visa and MasterCard. Payment due on day of service. Call us to schedule an appointment (812) 824-9480. Our office hours are 8am-4pm Monday through Thursday, and 8am-12pm on Fridays. If we miss your call after our office hours, please leave us a message and we will call you back the following business day. 2) Does the septic have a riser lid, or do you have the septic lid dug out? 3) How many feet from the driveway is your septic tank? Please have your driveway clear as possible of cars, motorcycles, boats, campers, toys and other equipment that would be in the way of our working. We have a large truck and some driveways are hard to navigate with extra things in the driveway. 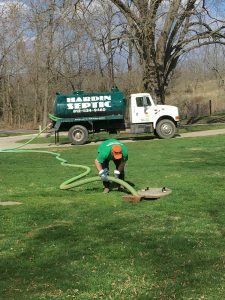 We want to do the best job possible for you and a clear path to the septic tank helps! Payment is due on the day of service. Payment can be made by cash, check or credit card.